Andrew is a native of Pennsylvania , but grew up in Florida. He attended the Florida School for the Deaf during the 80's but completed his high school years in the Gainesville area. While in Gainesville he met Cindy and they married in 1993. They are proud parents of two lovely children. When Andrew accepted Jesus Christ as Savior, God completely changed his life, and his relationship with Jesus Christ has grown stronger. In 2003, after a mission trip to Japan to work in Japanese Deaf Communities he answered God's call to become a pastor to the Deaf. 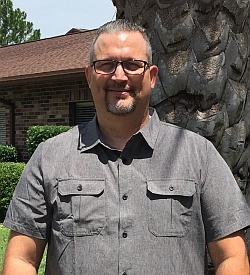 Andrew has served four other Deaf churches in the Jacksonville area, as pastor, and done extensive missionary travel, with hopes and plans to do more. 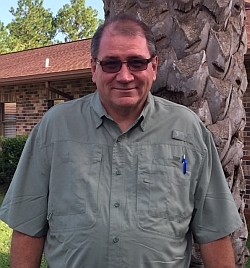 Originally from Norfolk, Virginia Joe moved to Florida in 1995. He is married to Christine and they have two grown children, Austin and Kaylee. Joe has had a long journey with the Lord. God planted in Joe's heart the desire to start a deaf church and led him to meet Pastor Andrew Lower. They went on a mission trip to Honduras in 2005 – it was a life changing experience for Joe. Since then he has been part of the Deaf Church involved in administration, outreach, and helping others. Joe's passion has always been to serve the Lord. He loves to see how the Holy Spirit works to change people's lives. One of his favorite sayings is, "God is Good All the Time". Christine is a native of Canada. She fell in love with her husband, Joe, during her college years at Gallaudet University in Washington D.C. She is a proud mom of two grown children, Austin and Kaylee. 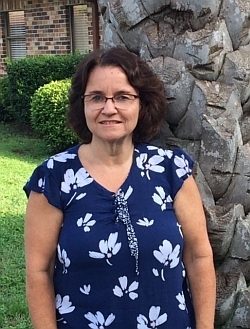 Christine has been involved with the Deaf Church with Pastor Andrew since 2004. She has gone on mission trips to Honduras and the Dominican Republic. Christine is the church's administrator and leads the Worship Team. Christine loves to serve the Lord.